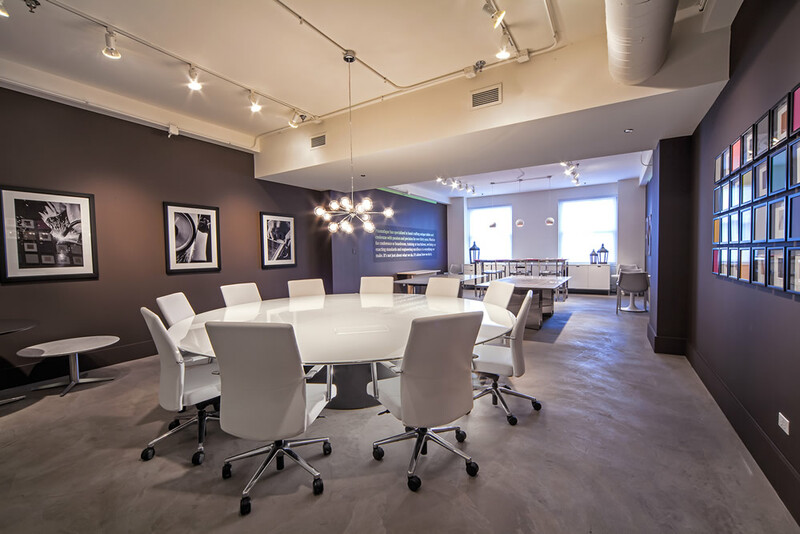 Every year in June the contract furniture industry gather to introduce new product ideas. 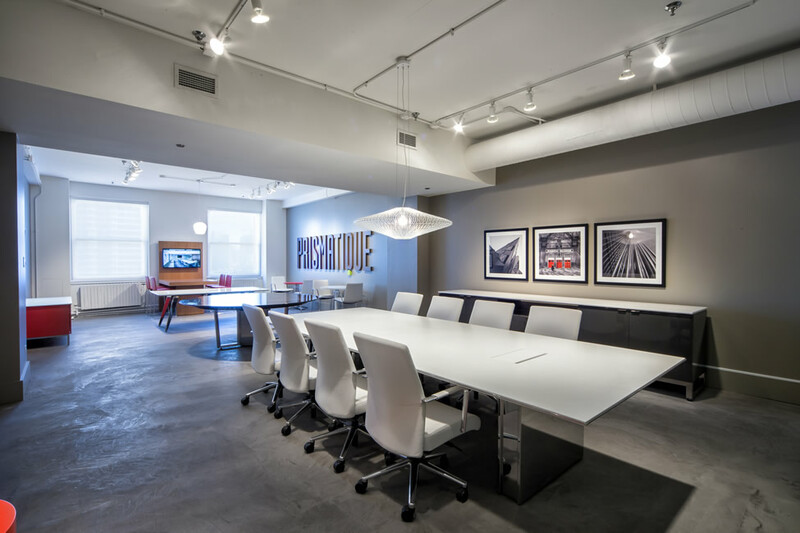 Neocon, Chicago has always been our platform for major corporate and product new announcements. 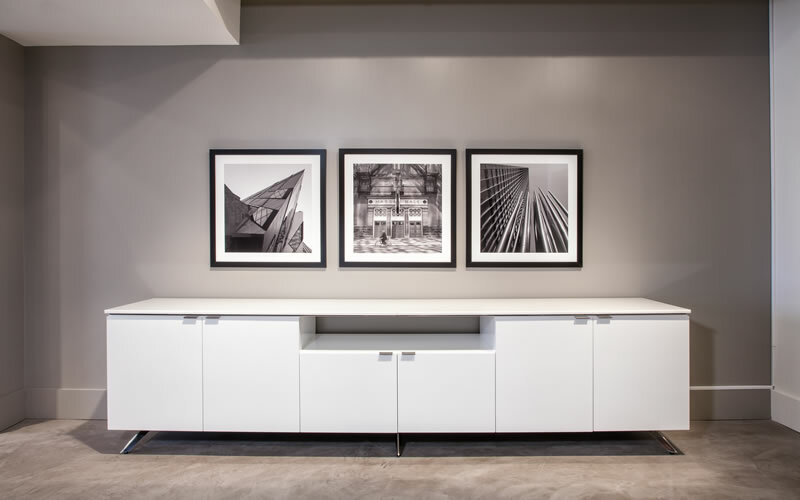 Please scroll to view recent news. 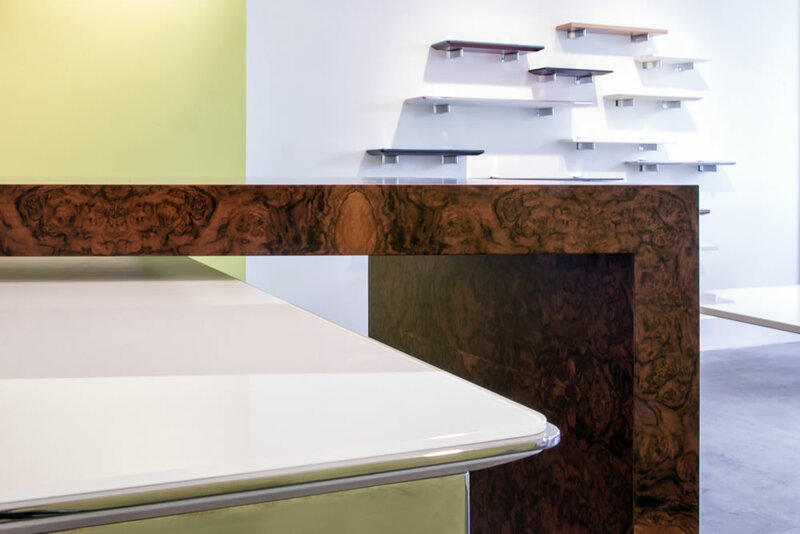 Introduced during NEOCON 2018, four new acrylic paint choices add to our already extensive finish portfolio. 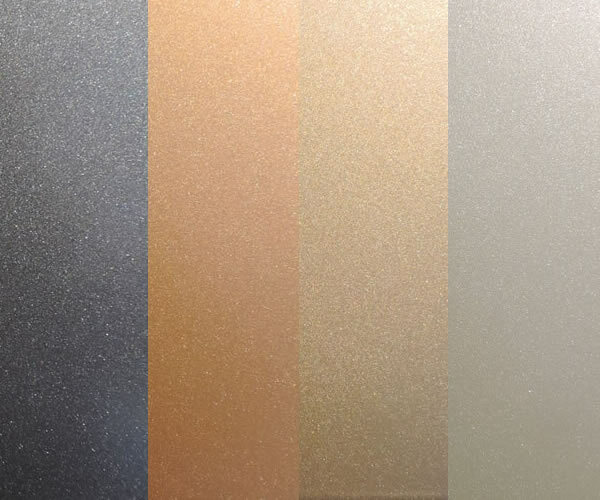 The Gilded Collection colors – Rose Gold, Copper, Citrine and Obsidian – were developed to provide unique "metal" colors for all table bases and Vidro Painted Back Glass tabletops as an alternative to wet, environmentally damaging, plated finishes. 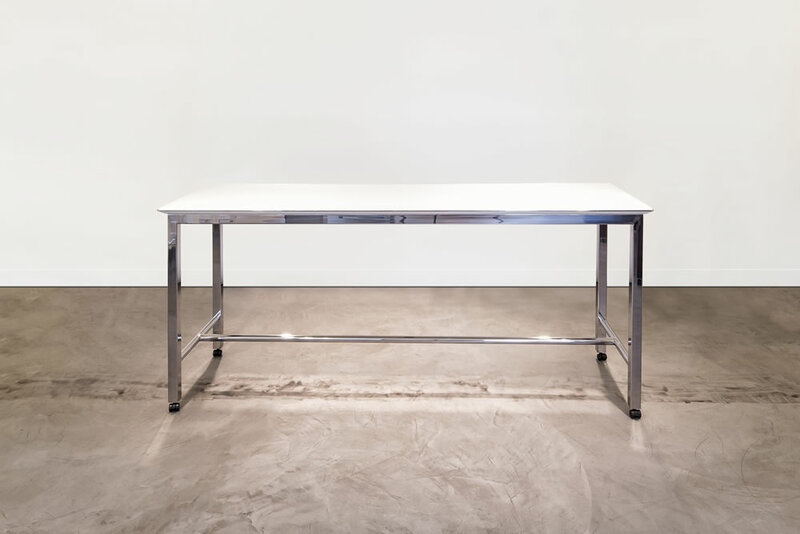 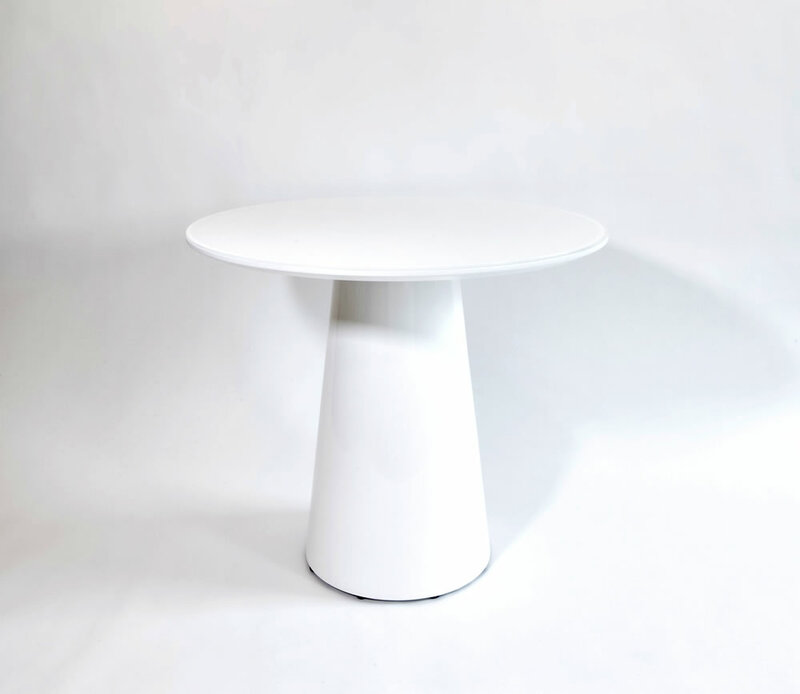 The new Spire table base provides a clean, tapered cylinder visual for tables of all sizes. 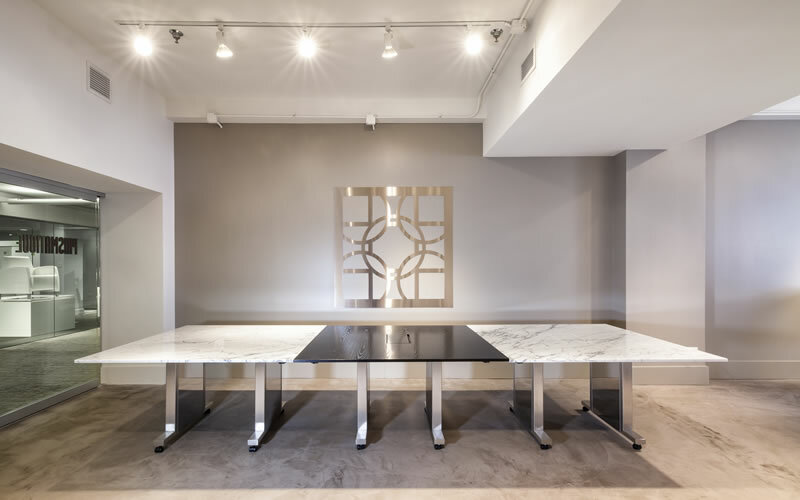 The Brooklyn community table was featured at the new height of 46". 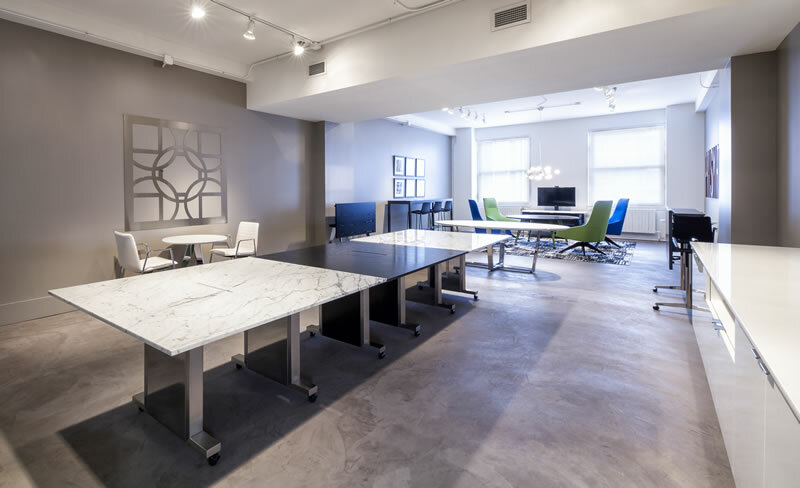 This height evolved from the developing interest in "perching"/"leaning" for casual, standing meetings where traditional heights of 36" and 42" are too low and needs seem to indicate a higher tabletop surface level requirement. 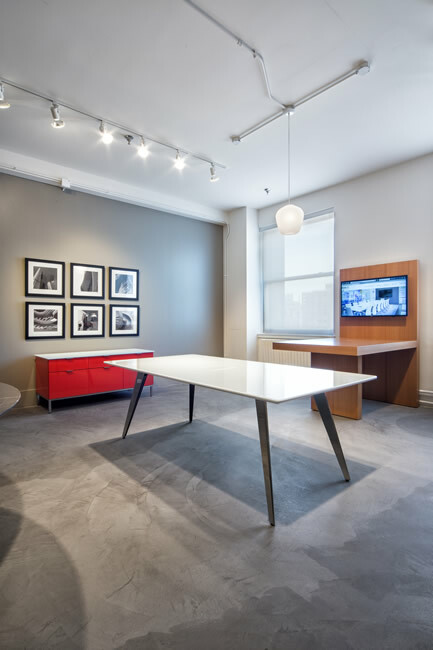 Brooklyn has full height flexibility, any increment from 16"H – 48"H.
Introduced during NEOCON 2017, two new stainless steel base options greatly expand the choices for management level training rooms. 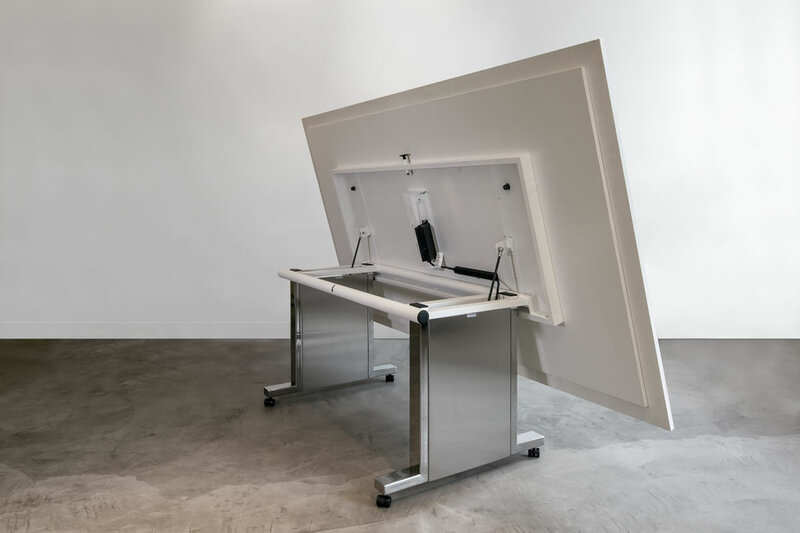 Flatiron training tables offer a unique four base, tapered triangular profile with integral wire management. 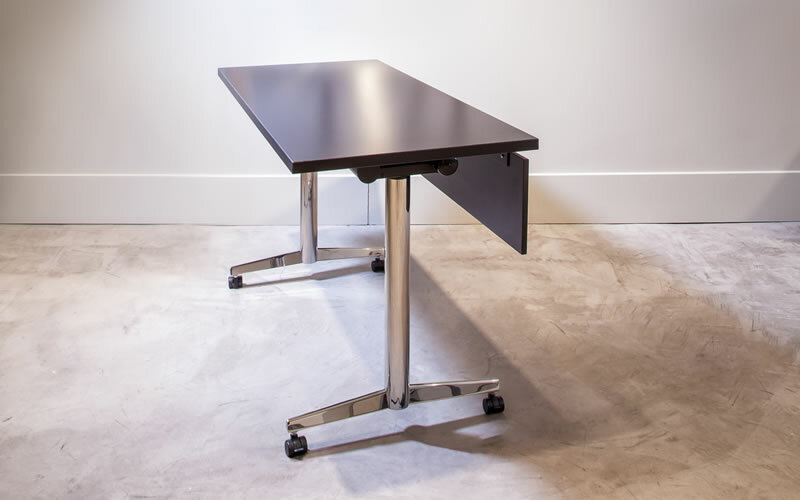 Asteri training tables offer a more traditional, low-to-floor T-base profile. 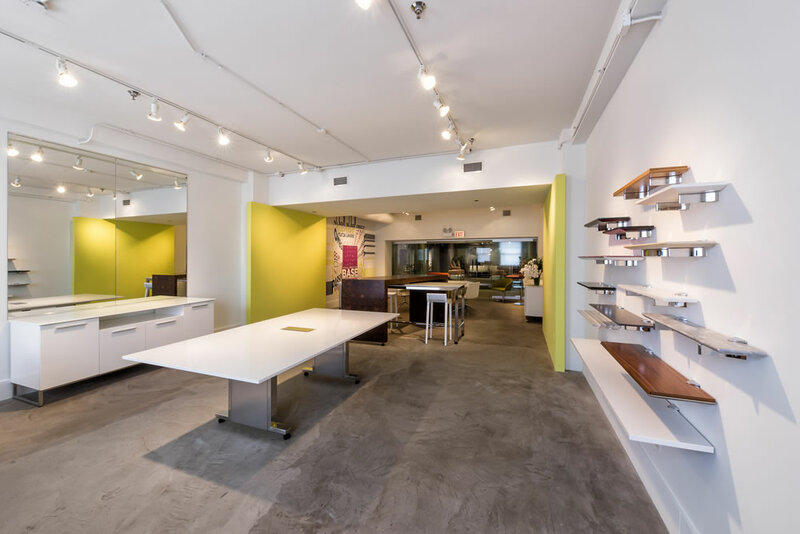 In addition, Flatiron was displayed with a new three base version for small, round café tables, a four base version on a 60”D lounge height (26”H) table for casual collaborative spaces and a new elevated base option for all cabinets and credenzas. 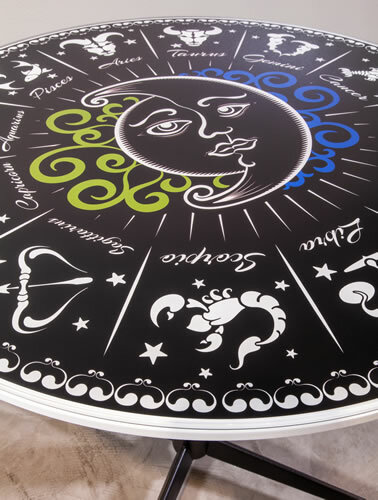 VidroArt was re-introduced offering a cured UV ink printing process for any image reproduction under small sized painted back glass tabletops. 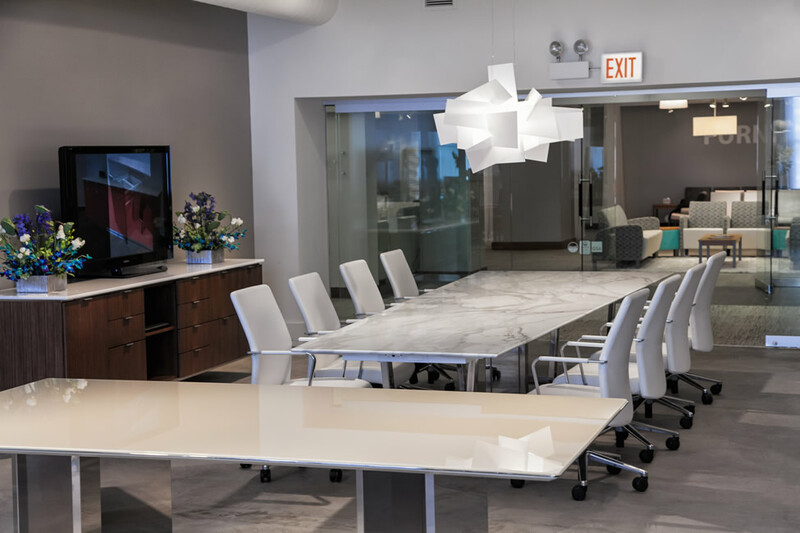 Introduced during NEOCON 2016, the Flatiron base series offers a tapered, triangular stainless steel profile with integral wire management for tables of all shapes and sizes. 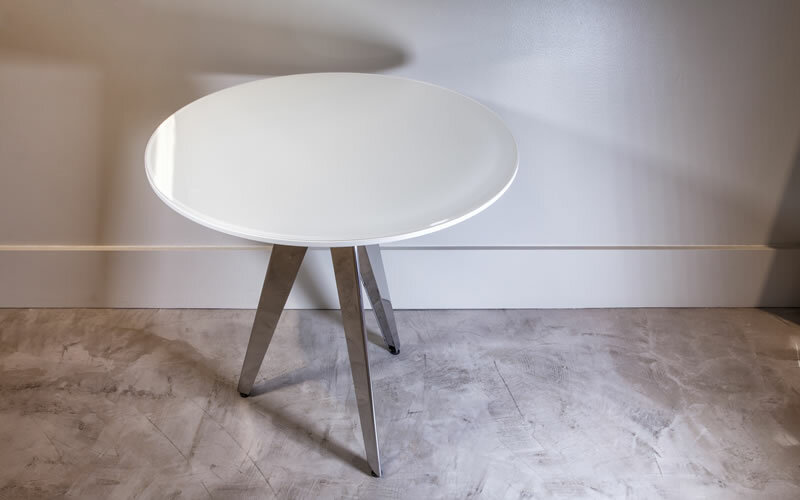 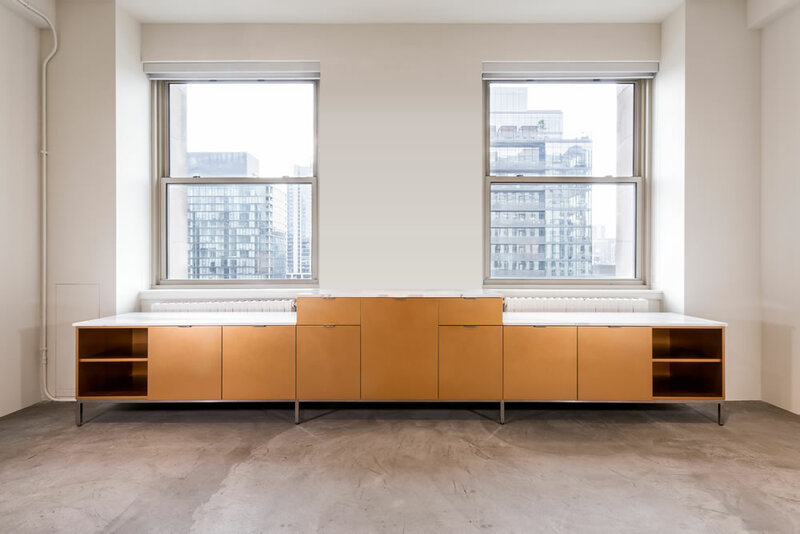 Available in polished, brushed, veneer clad and colora coating finish – the sleek, contemporary aesthetic and internal wiring channel of Flatiron sets it apart from all other angled table bases. 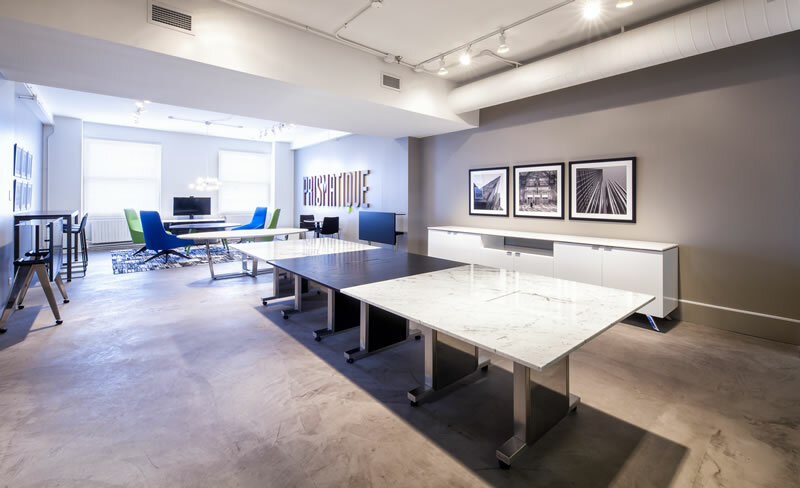 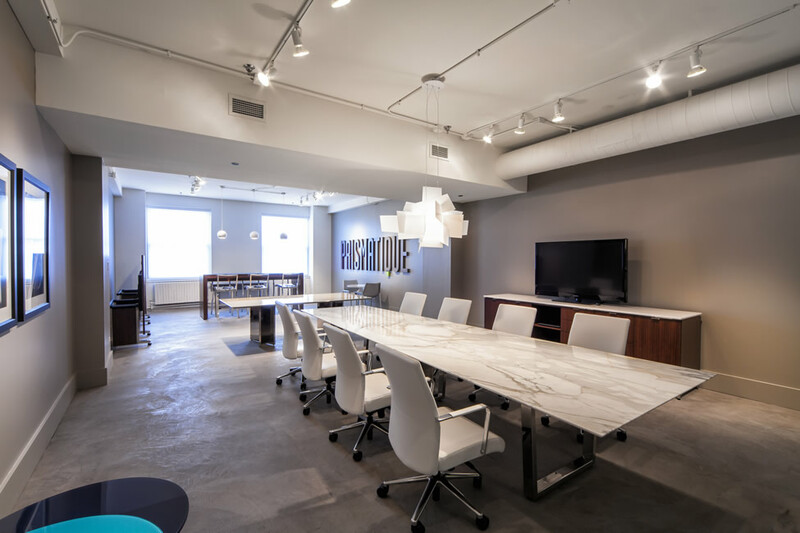 Arcade is a collaborative work center, a combination of elements to address the need for team gatherings in open spaces and small meeting rooms. 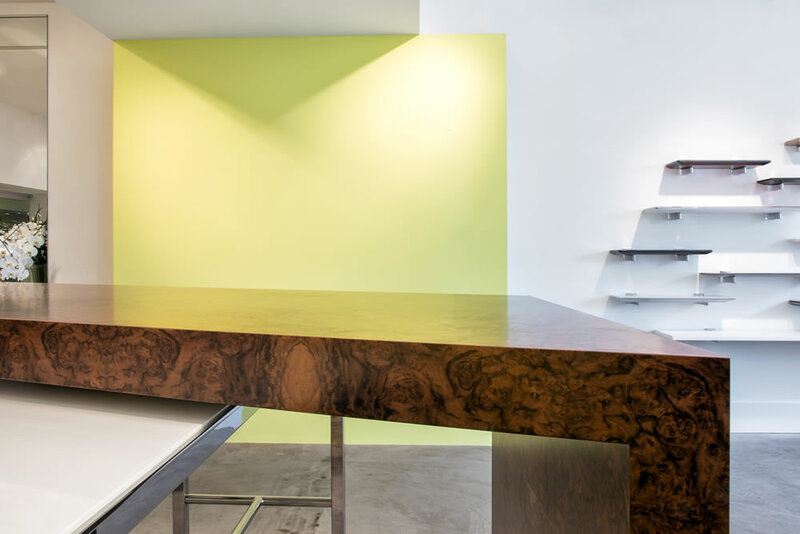 NEOCON featured an all veneer configuration of Arcade with 3” thick panel based elements including TV wall, tabletop power and base support. 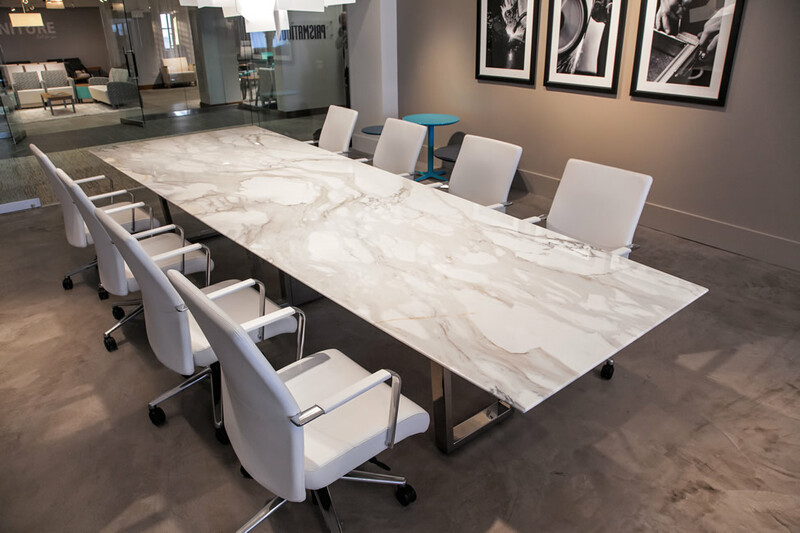 Other tabletop materials like painted back glass, laminate, stone and solid surface with additional base profiles and tops in 1”-2” thicknesses will be introduced shortly as the options for Arcade expand to maximize user choices. 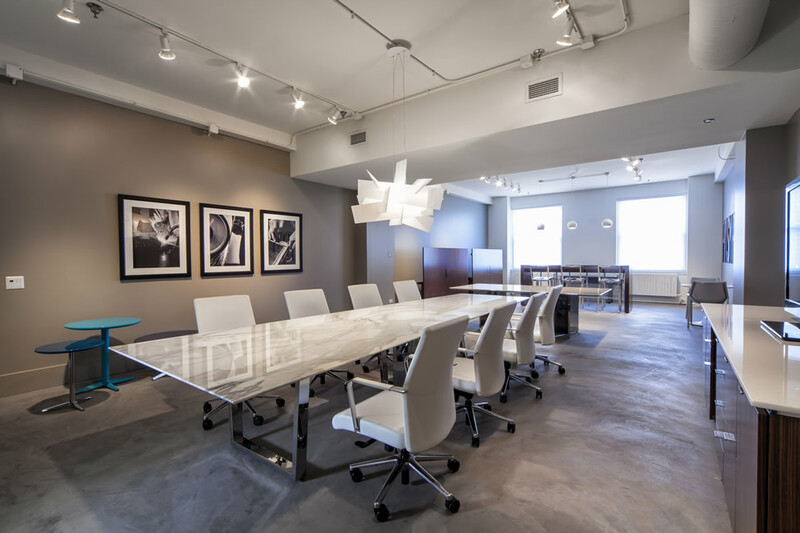 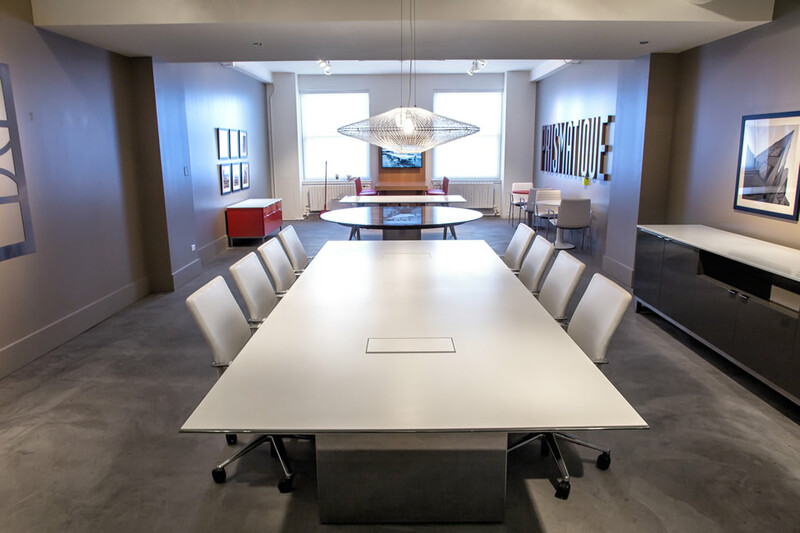 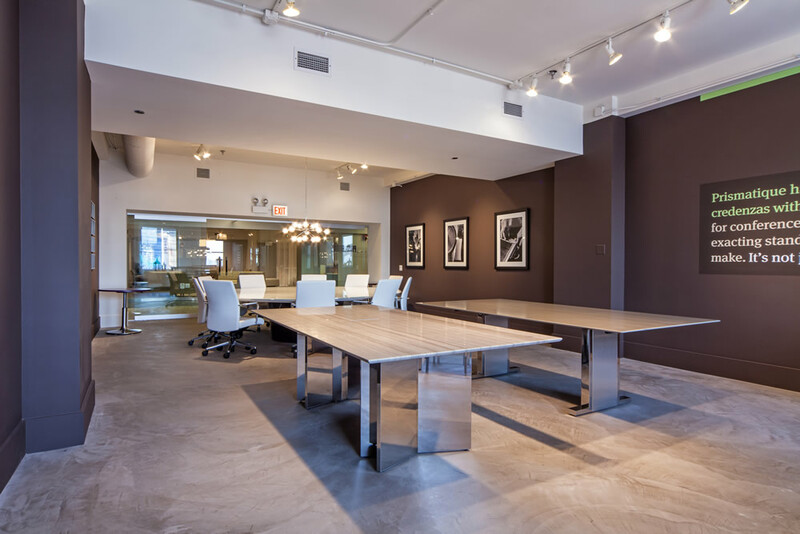 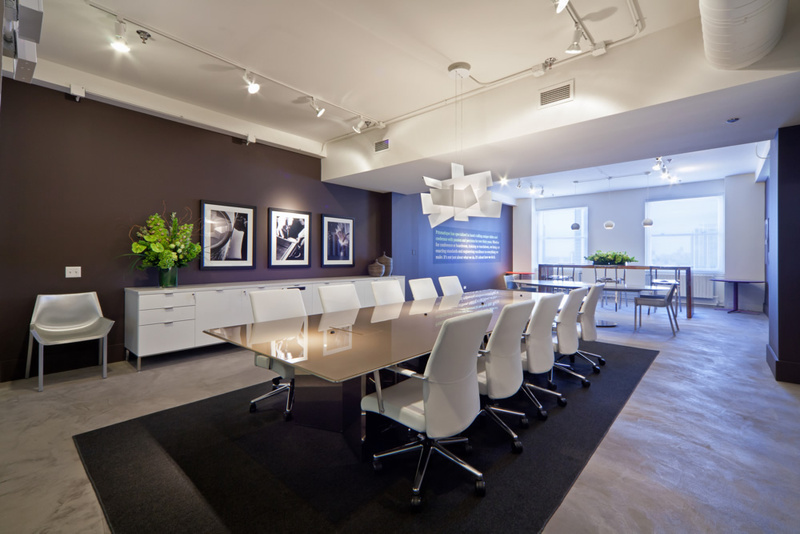 Introduced at NEOCON 2015, the “XL” series of conference table bases incorporate a new air cylinder fliptop mechanism designed to allow for up to 54”x96” tabletop section sizes thus providing minimal seams for large tables in the mobile conference table category. 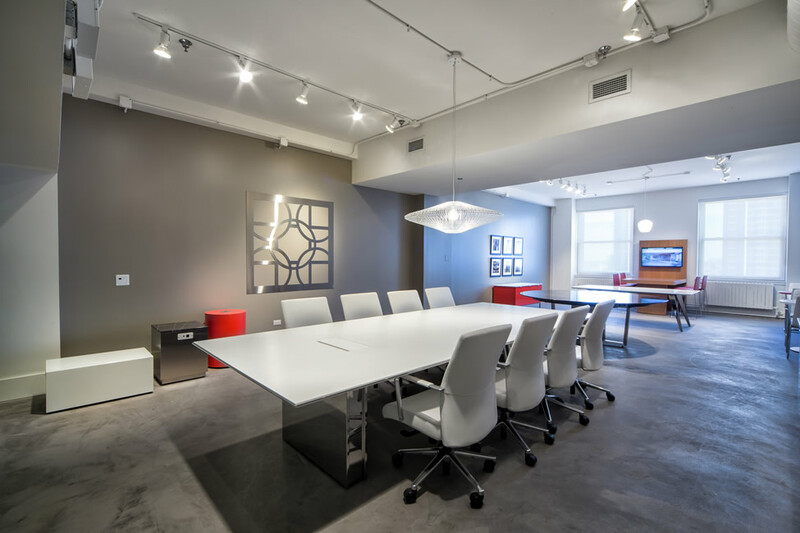 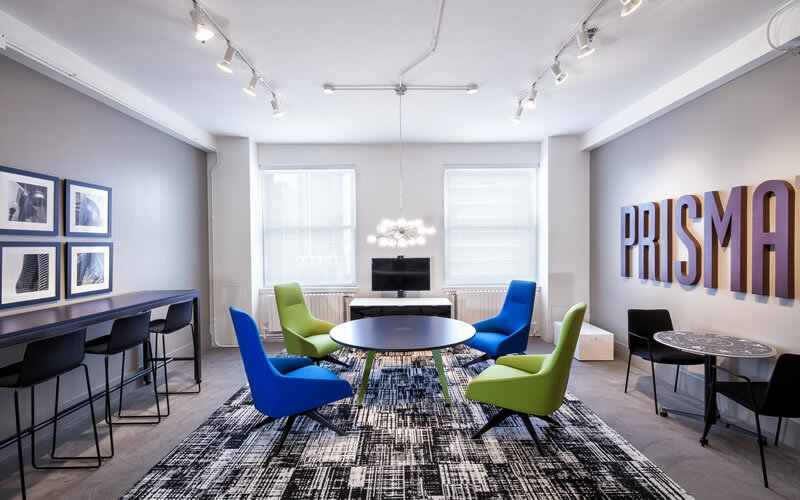 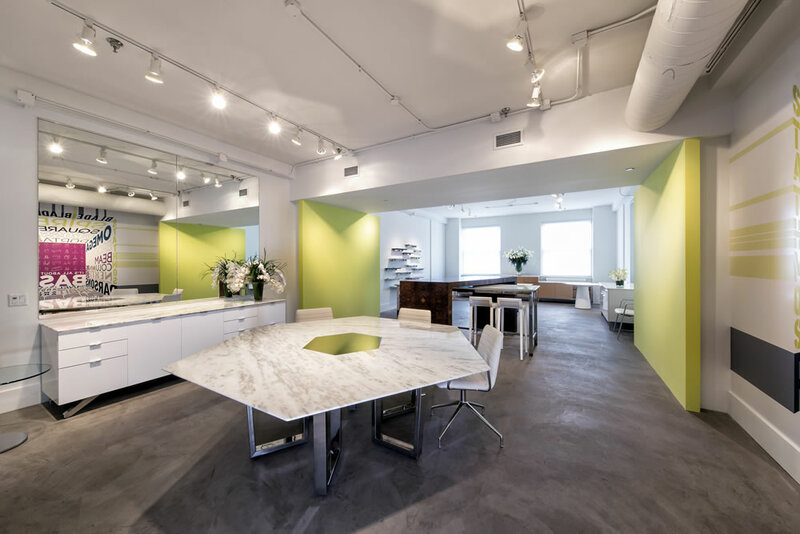 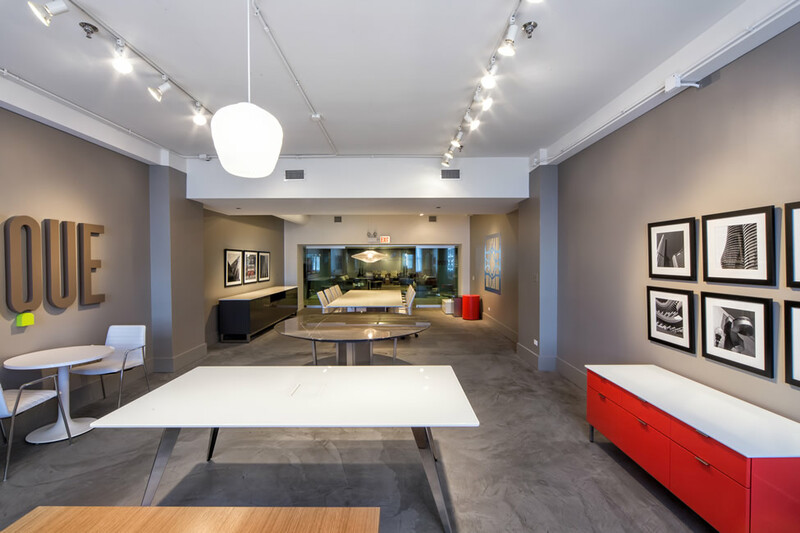 At NEOCON the PortaXL base was featured. 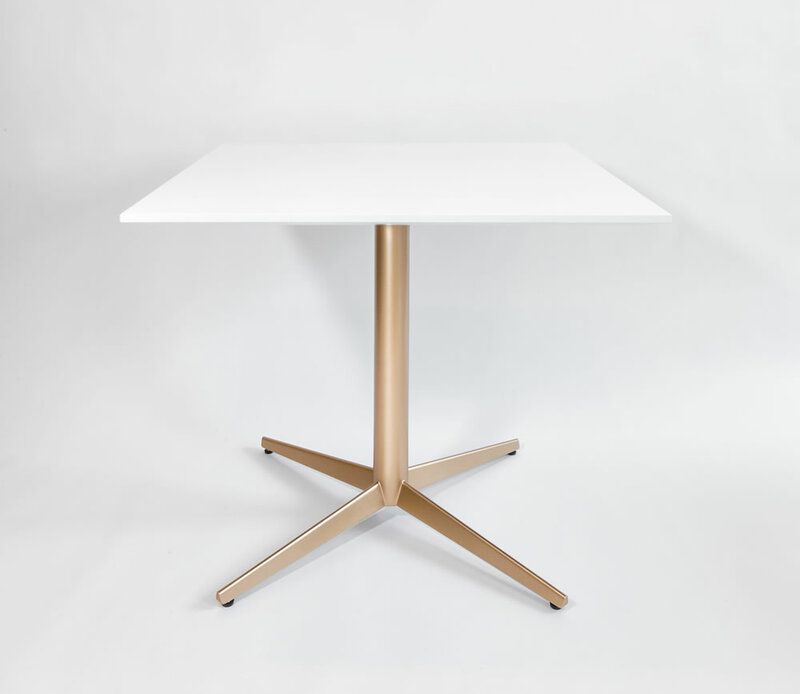 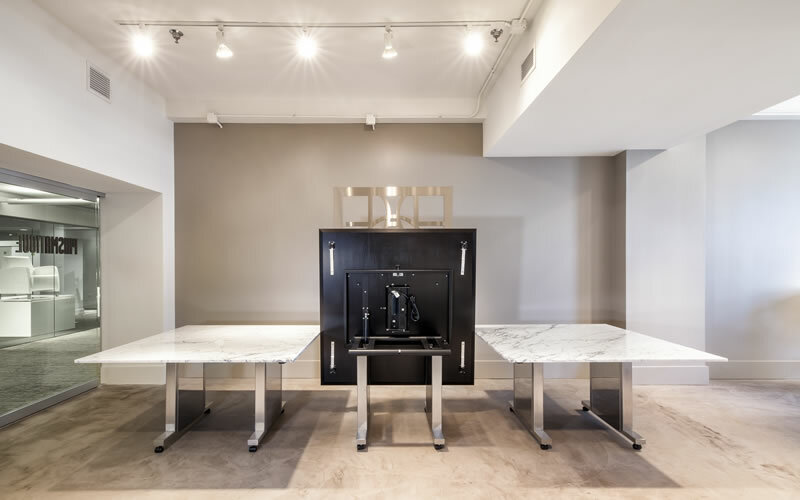 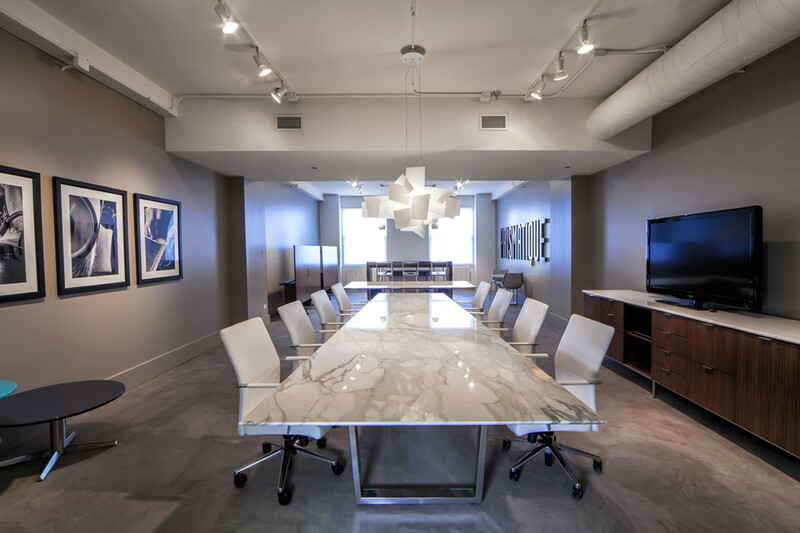 The new Ribbon base was displayed with a striking Calcatta Gold marble tabletop to reflect the ultimate contemporary conference table with power units concealed in a full perimeter, under-top IT apron. 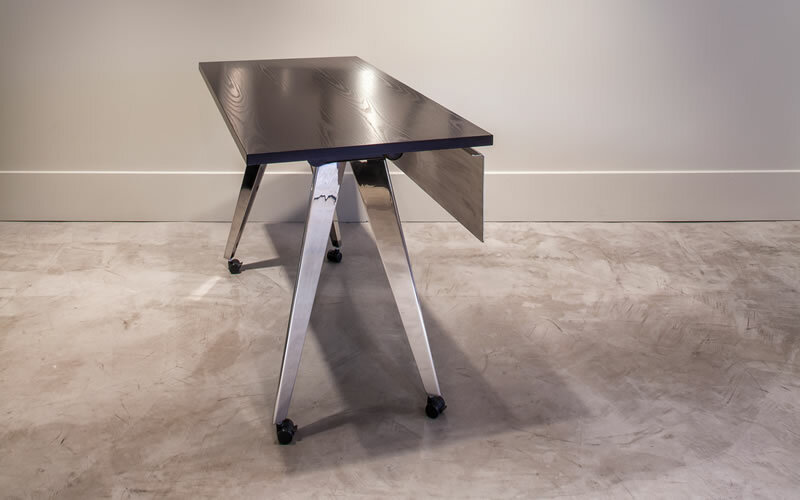 The 42”H Brooklyn community table introduced a painted back glass top option featuring our new color, Marine blue. 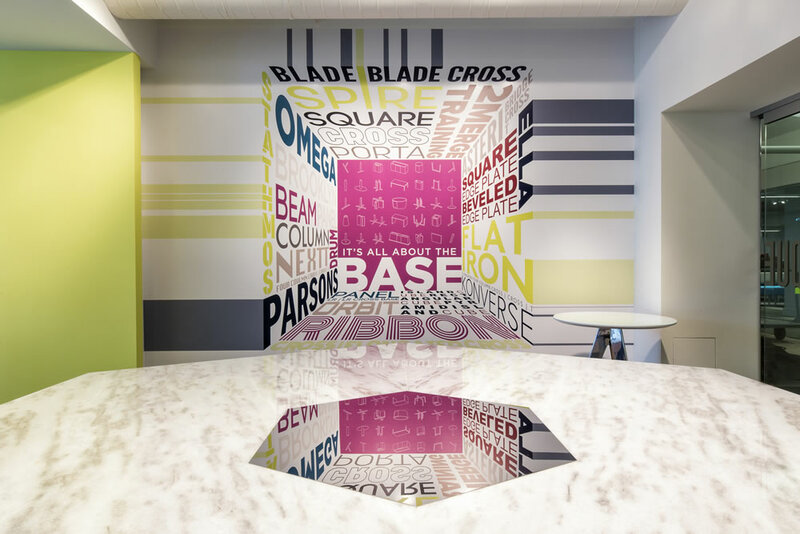 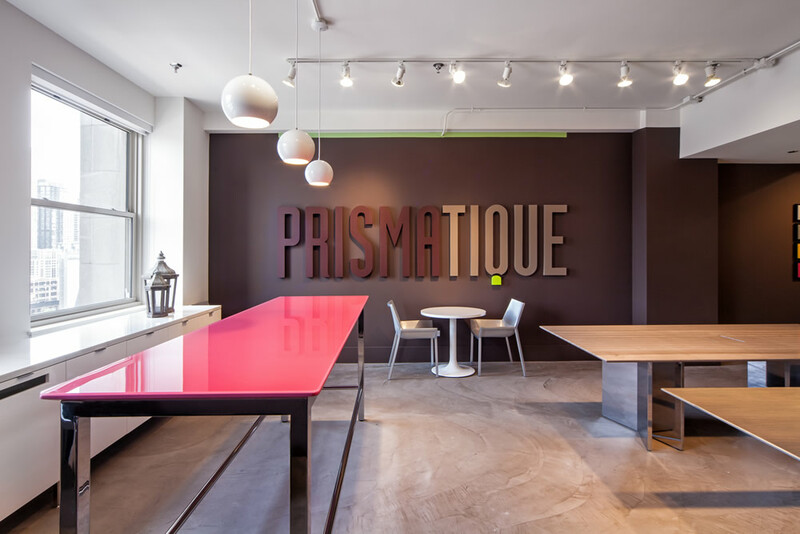 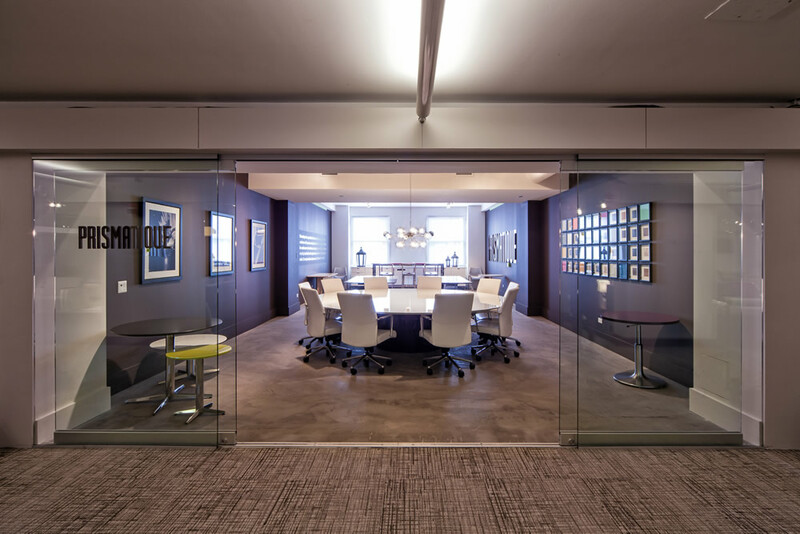 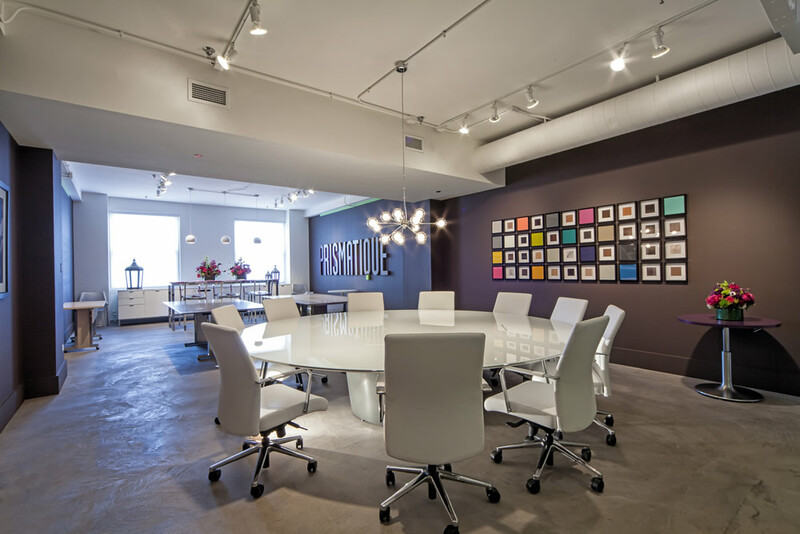 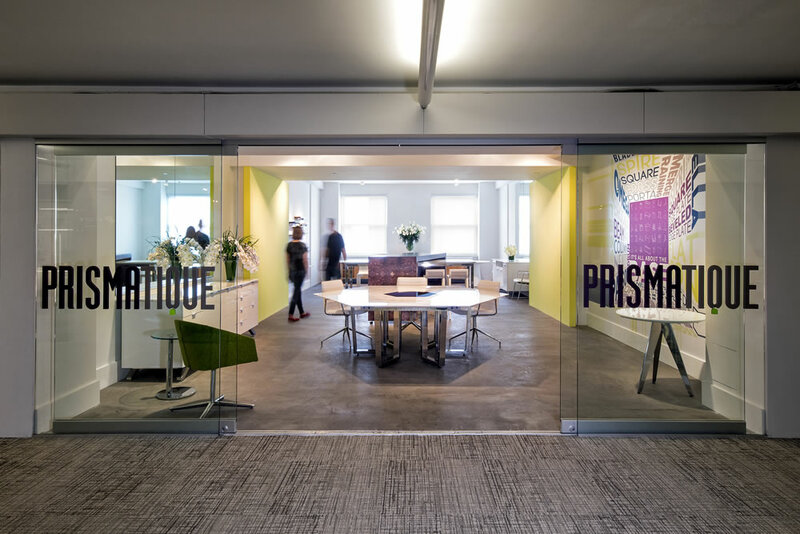 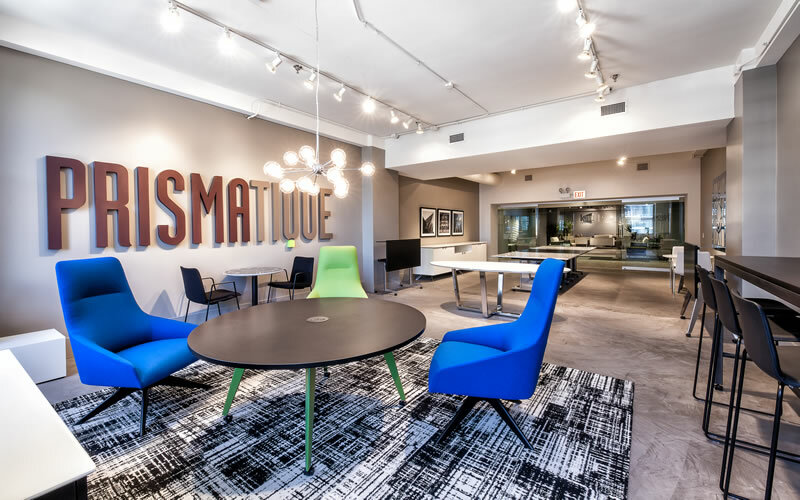 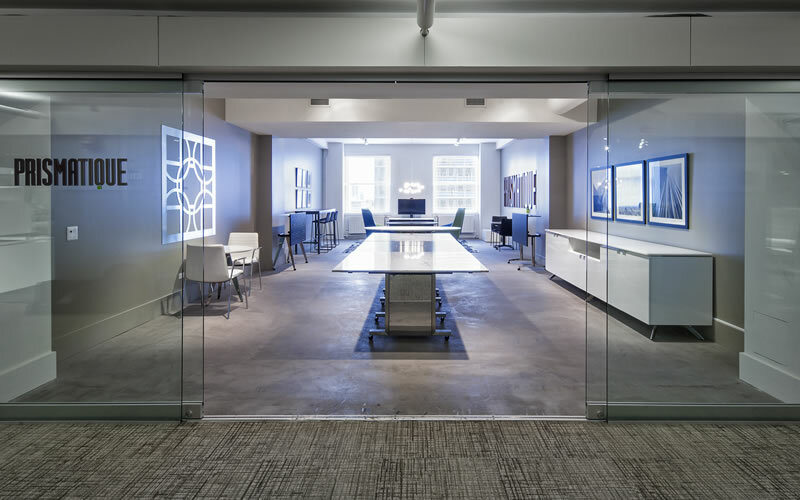 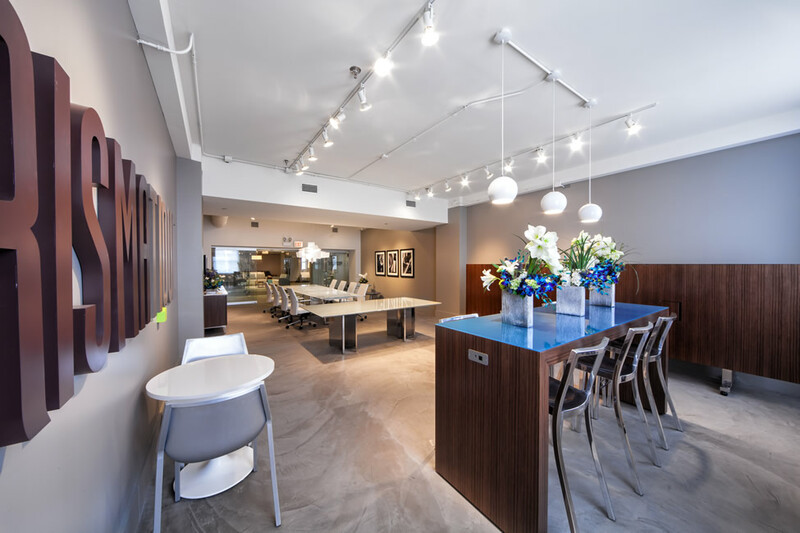 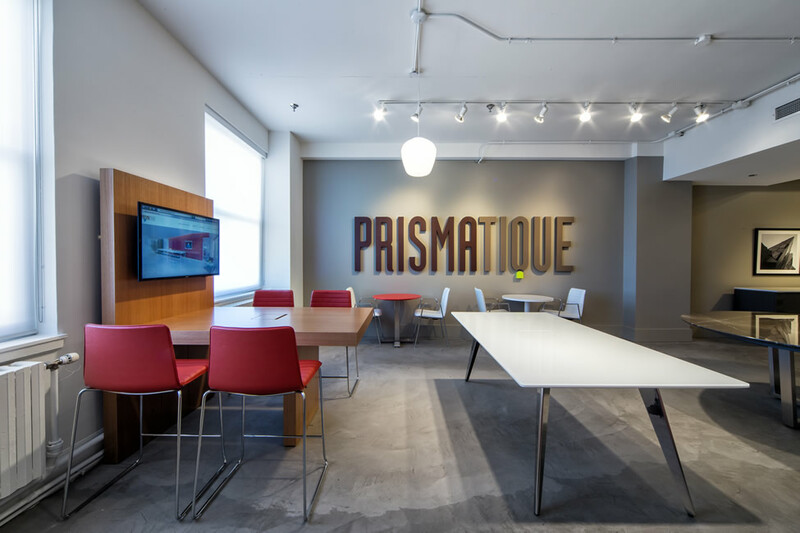 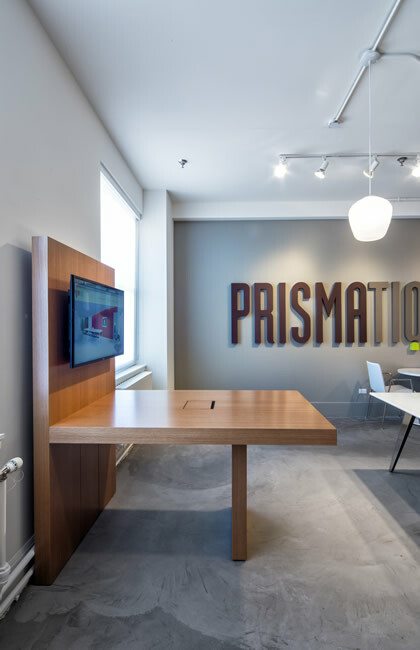 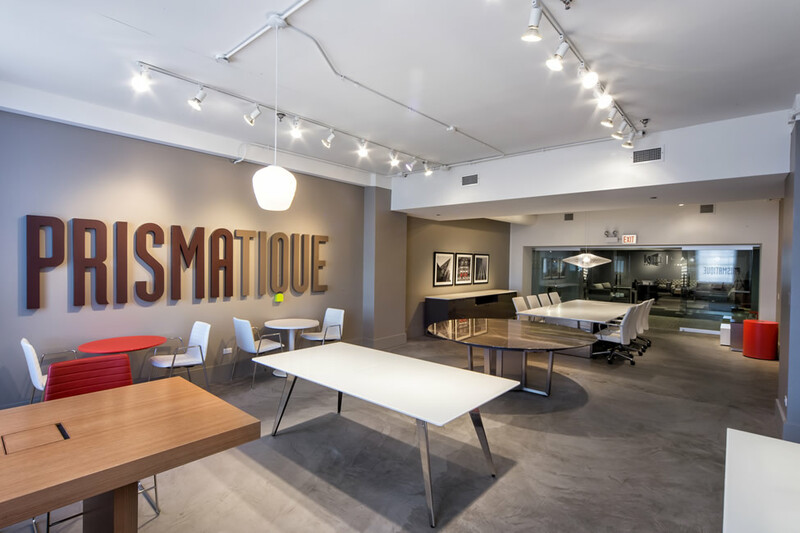 NEOCON'13 marked the grand opening of Prismatique's permanent showroom on the tenth floor of the Merchandise Mart, Suite #138. 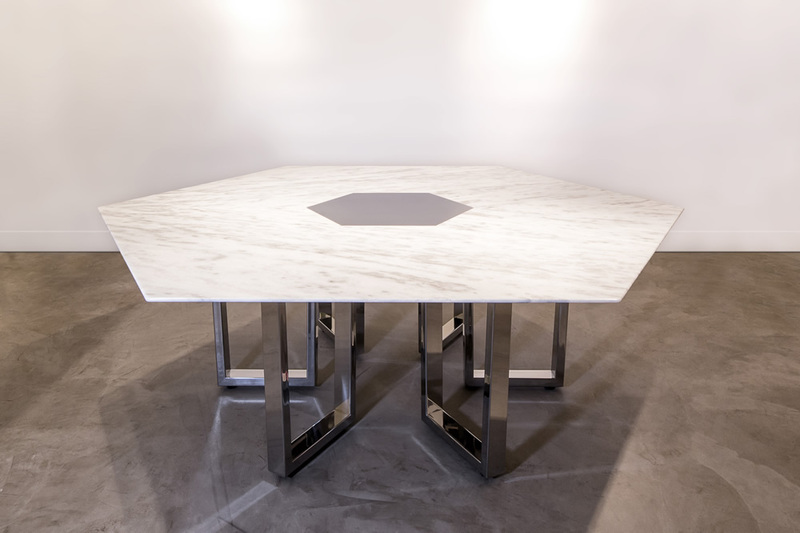 Product introductions included: a new base called "Stathmos", offering a "back-to-back V" profile and concealed power in-feed for large rectangular conference table applications; the community table series "Brooklyn" providing a sophisticated, concealed, section-to-section frame construction methodology enabling unmatched choices in table width and length with minimal seams; a slimline stainless steel cross base "Asteri" for collaborative, café and occasional round and square tables and two new edge profiles for all table categories - "Razor" and "Scissor".